My father hovered around the Inside Passage a little while after dropping me off at Hartley Bay. He must have done some more fishing. The last I saw of our skiff was pulled up on the float at Hartley Bay, the net tangled with (by then, dead) crabs. I heard that story a number of times, and I know my father accepted the assessment as no more than fact, and my due. Teddy’s smart. Of course. But an important detail had slipped away from him: the identity of the boy who came running down to the float with that important news (delivered lightning quick, as could only happen in small places in those days before smart phones.) It was his other son, Aleck. And there was a story behind that incident which I don’t think my father ever knew. If he had known it, he might have been even more proud. As background, one thing is important to understand, and that is how Aboriginal languages fared in Aboriginal communities in the mid-20th century. The languages themselves were much more healthy then than now in the sense that, still living in Aboriginal communities, there were substantial numbers of people who could speak or understand their native languages. 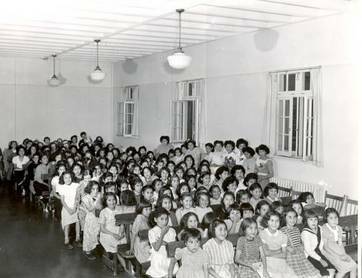 Unfortunately, government- and church-run residential schools had by then been a long-existing part of Aboriginal life. While not every Aboriginal child went to these schools, enough did to bring back to the communities an attitude toward Aboriginal languages which proved in the long run fatal to those same languages. In the schools, Sm’algyax was prohibited. Cree was prohibited. Lakota was prohibited. All the Aboriginal languages were prohibited. Children had their native tongues washed out of their mouths with soap, knocked out of their heads with slaps, even when those native tongues were the only languages that the children arrived speaking. The mother of my second daughter speaks of nuns hiding behind trees, trying to surprise children sharing the forbidden syllables between themselves on the playground. The stripping of language—like the inevitable shaving of heads which met them at the residential school door—was a deeply traumatic experience shared by generations of Aboriginal children, children who grew up with the conviction that their own children should not have to go through the same experience. Aboriginal parents seldom had any choice, of course, about where their children were educated. If they did, they wouldn’t have tolerated the abuse their children faced in the residential schools for a season, never mind for generations. They couldn’t protect their children from these schools, because the government made those kinds of decision for the parents. But they could choose to teach or not teach the language. 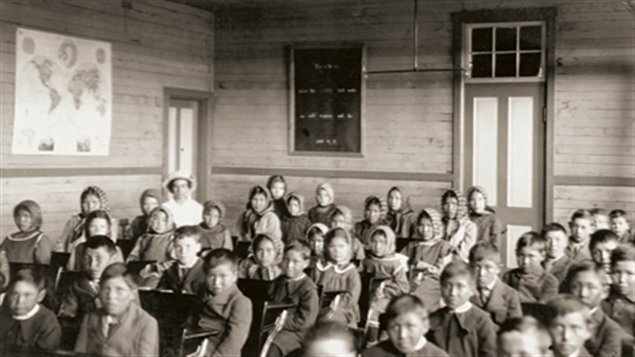 They had a choice about whether their children had a native language to be punished for. Many, many children were not taught their Aboriginal tongues for exactly this reason. My brother, despite having many resources in the older generation of his family who could have remedied it, was supposed to be among them. But Aleck didn’t let it rest at that. My brother saw that the Lord’s Prayer in the church was done both in Sm’algyax and in English, and this was also true of various hymns. (These Sm’algyax translations had been done by William Duncan, the 19th century lay missionary for the English Church Missionary Society who played such an important part in Tsimshian post-contact history, and in the history of Hartley Bay itself.) He used this as his Sm’algyax Rosetta Stone, and he took to hanging around elders and others who spoke Sm’algyax among themselves to see if he could pick up more, which he did. Sometimes—as I heard Aleck and also others say—the elders would use the language “to make us deaf.” Sm’algyax was a secret code which the elders could resort to in order to discuss private matters, even with children in the room. Except Aleck. Eventually, he understood what the elders were saying. And that is how he happened to overhear their little conversation about me. “That boy Teddy, I think he’s smart.” The elders said something like that, and that’s what Aleck was reporting to my father that day when he ran down to the float. I accept that judgment, coming as it did from elders, and because I happen to mostly agree. But on the HartleyBay float, it was an E.B. White, Charlotte’s Web moment. Charlotte wove “Some pig” into her spider web, and everybody fussed over the pig, of course. Except one person who noticed the spider—most of whom do not weave messages in their webs. Well, the elders couldn’t make my brother Aleck deaf (and eventually, long after this story, one of them noticed that he wasn’t.) That’s how the message got to my father.